DIVI Person Module Extended Bundle is fully compatible with DIVI THEME versions 3.19+. Some features or elements may not be compatible with previous versions. Please ensure that you’ve downloaded the latest version of Divi.The Divi theme is not included in this package. To download Divi, you must first purchase a membership to Elegant Themes and download the Divi theme package. 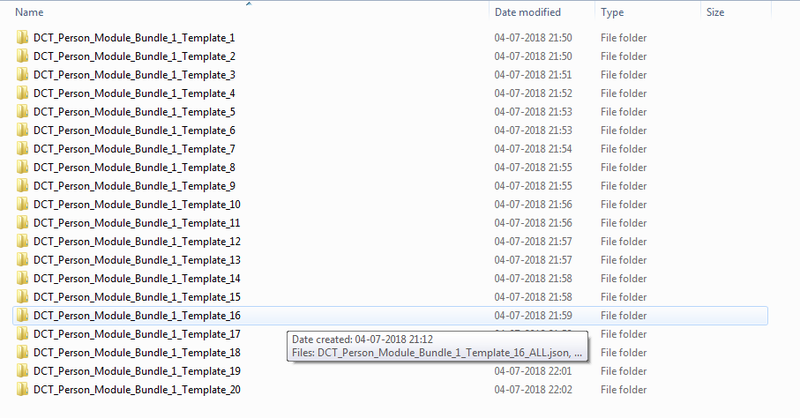 Download and unzip the ‘DCT_Person_Module_Bundle_1.zip’ file to your computer.Once you’ve UnZip DCT Person Module Bundle, you will find following folder directory. 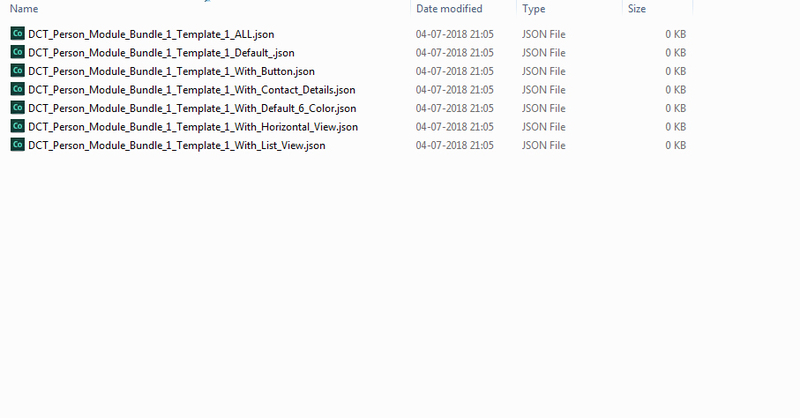 In Each Folder Total 7 Json File For Single Template Style,Select Style that you want to IMPORT. To Import DIVI Person Module Extended Bundle Template Style, you will first need to navigate to the Divi > Divi Library page in your WordPress Dashboard. Here you will see a list of all of your Divi Library items, along with an “Import & Export” button at the top of the screen. Clicking this button will launch the portability popup. Once you have selected the file, click the “Import Divi Builder Layouts” button to begin importing. Once the import process has completed, you will notice that the DIVI Person Module Extended Bundle Design have been added to your library and included images have been imported into your WordPress Media Library. Add DIVI Person Module Extended Bundle Template Style to Your Pages.From your WordPress Dashboard, go to Pages > ALL Pages / Add New. . Click to use the Divi Builder and deploy the Visual Builder. Open the settings menu at the bottom of Any Section and click the “Load From Library” plus icon on the left. 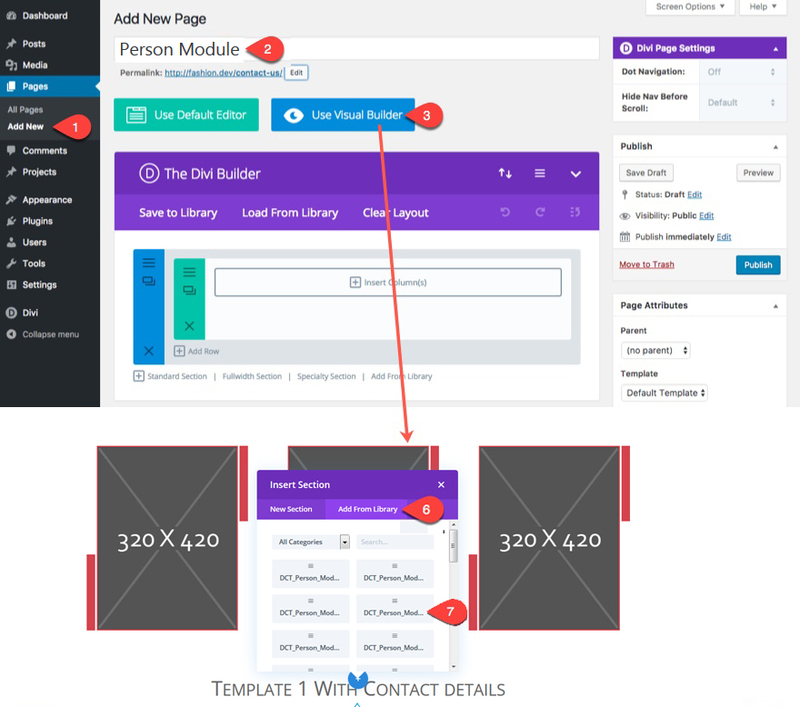 In the Load from Library modal that pops up, click the “Add From Library” tab and select the DIVI Person Module Extended Bundle Template Style from the list to load the Slected DIVI Person Module Extended Bundle Template Style on Section. Repeat This process ,If you want to add another DIVI Person Module Extended Bundle Template Style for each new section, Adding a new Section to each one.